An upmarket watch brand has raised thousands of pounds for mountain rescuers through sales of its products. Elliot Brown Watches said Mountain Rescue England and Wales has received a £14,000 boost from its donations linked to a special edition of its Canford model over the past four years. 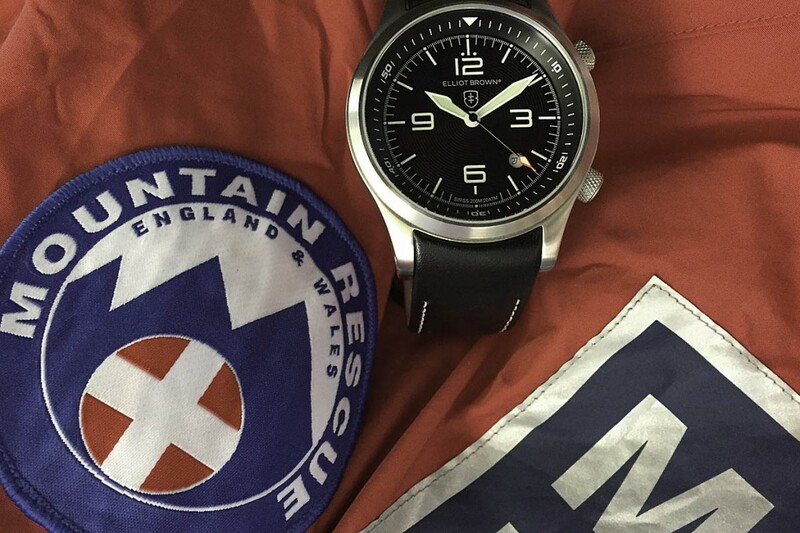 The company has given £36 to the umbrella body for mountain rescue teams south of the border for every Mountain Rescue Edition of its watch, which retails for £385. Elliot Brown also offers a discount to team members who want to buy one of the watches. It says its fundraising will continue with the launch of a new version of the watch. Robbie Taylor, fundraising officer for the North Dartmoor Search and Rescue Team, said: “We are solely reliant on voluntary donations with no central funding. The money has to come from somewhere, it’s vital. “Businesses like Elliot Brown enable us to do our work. “I wear the Elliot Brown MREW Canford watch and so do many of my team members. The critical bit of information is that it does what I need it to do in the conditions I need to do it in. It won’t let me down. Ian Elliot, joint Founder of Elliot Brown Watches, said: “We’re an adventurous brand for adventurous people. Mountain rescue volunteers drop everything to go out in all weathers to save lives no matter what the time of day. They’re looking for a watch that works as hard as they do. The new model will have a luminous second hand; larger luminous hour batons; a red perimeter round the 12-hour marker on the timing bezel, and a subtle black-on-black mountain backdrop echoing the MREW roundel. It will go on sale in June this year.